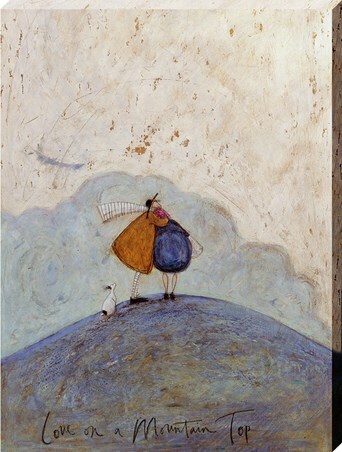 In this touching scene, Sam Toft's precious characters take a stroll in the beautiful country side. 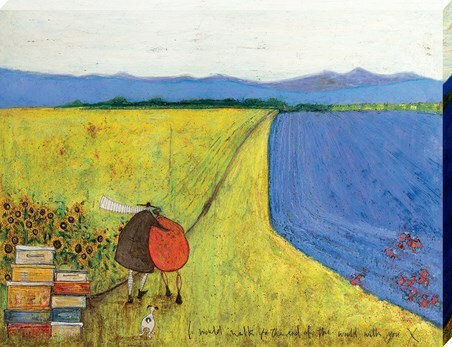 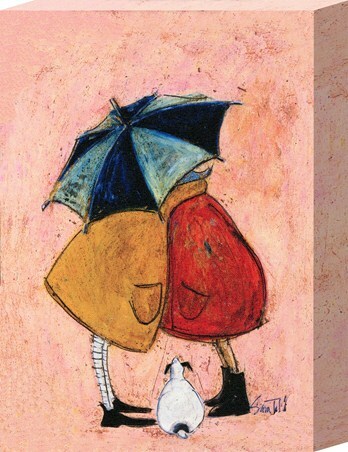 Aptly titled, 'I Would Walk To The Edge Of The World With You,' this charming illustration features Mr Mustard, his wife Violet and their podgy Jack Russell, Doris. 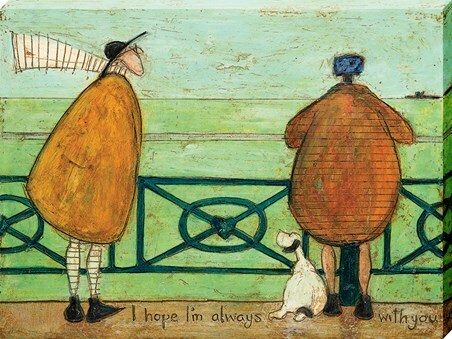 Created using colourful textures, they are seen in a tender embrace as their canine pup lovingly follows in toe - a perfect addition to any home to add an abundance of warmth and character. 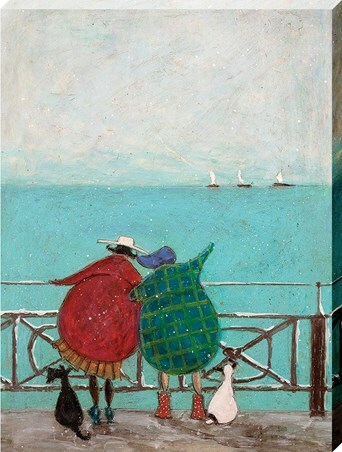 High quality, framed I Would Walk To The End Of The World With You, Sam Toft canvas print with a bespoke frame by our custom framing service.